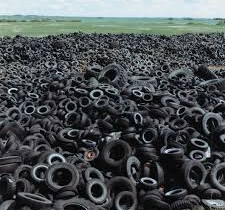 The Kentucky Division of Waste Management and Garrard/Lincoln Solid Waste will host FREE waste tire collection events in each county in October 2015. The Garrard County Waste Tire Collection Event will be held October 8, 9, & 10 at the State Highway Department on Industry Road in Lancaster. The Lincoln County Waste Tire Collection Event will be held October 22, 23, & 24 at the State Highway Department on US 27 in Stanford. Residents from either county are welcome to bring an unlimited amount of waste tires, on or off the rim, to either of these events. NO scrapyards, junkyards, or tire dealers will be allowed to dump tires at these events.